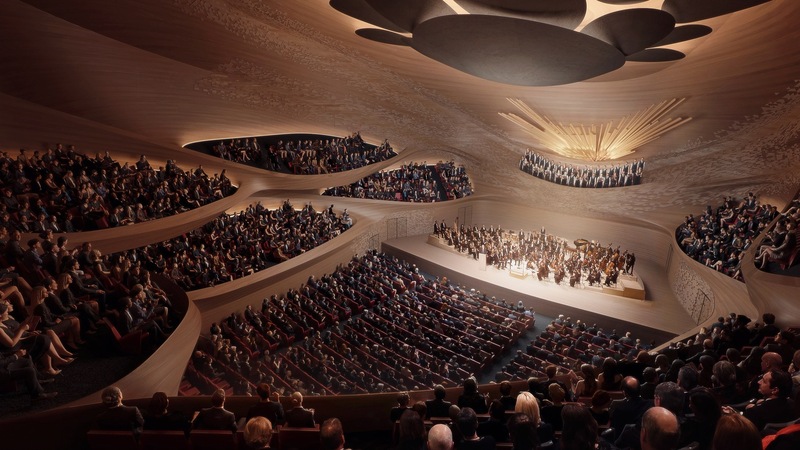 The sinuous curves of sound waves will take shape on a massive scale as Zaha Hadid Architects’ design for the new Sverdlovsk Philharmonic Concert Hall comes together in Yekaterinburg, Russia. 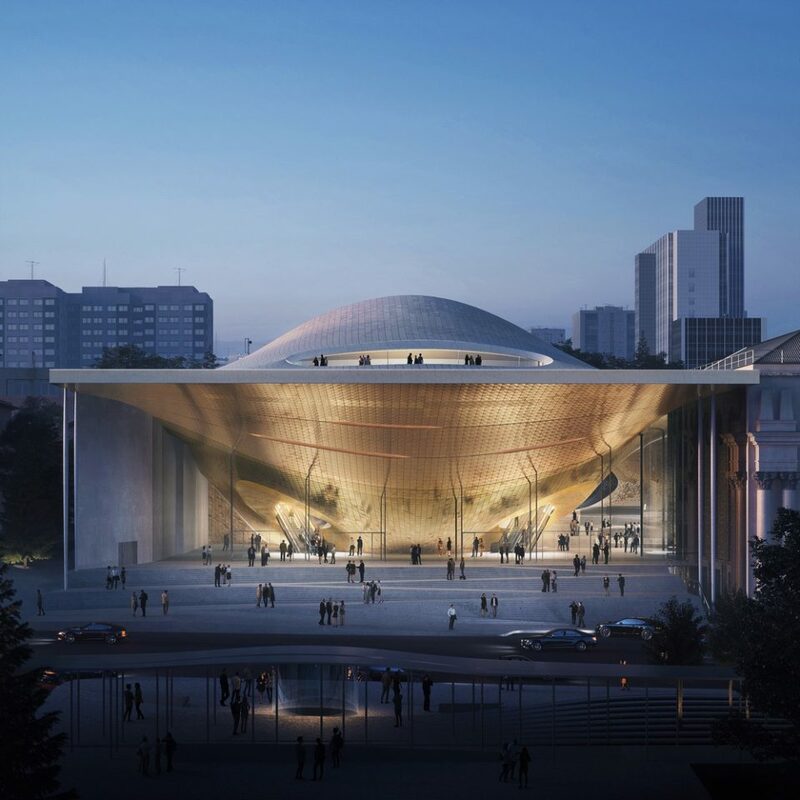 Selected as the winner of an international competition, the proposal inserts billowing openings into a floating canopy roof, continuing these sonic volumes deep into the hall’s interiors to create a series of organically shaped auditorium spaces. 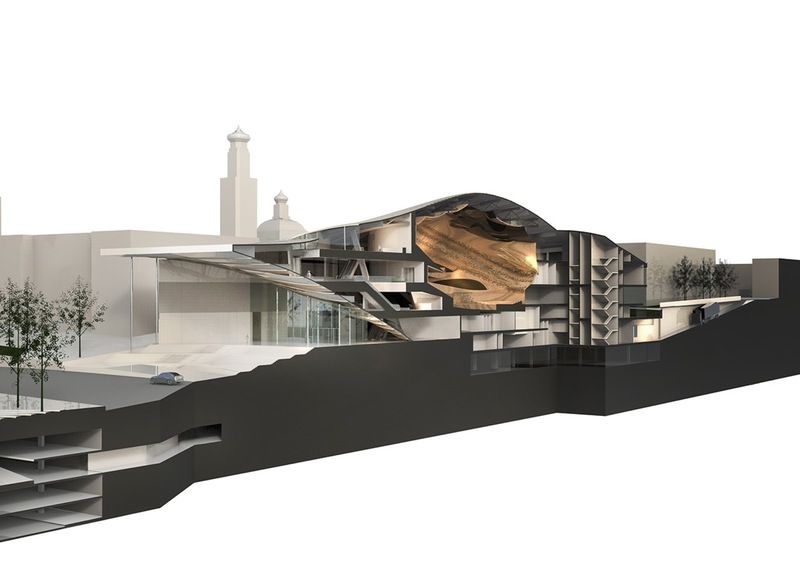 While that inspiration may not be apparent inside, it’s clear as day when viewing the building from afar, instantly clueing passersby in on its purpose. 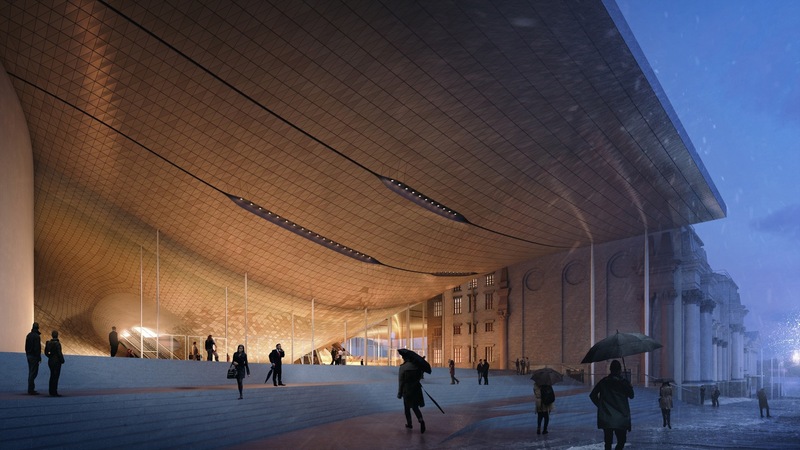 The design “is based on the properties of musical sound resonance creating wave vibrations in a continuous smooth surface,” the firm explains. 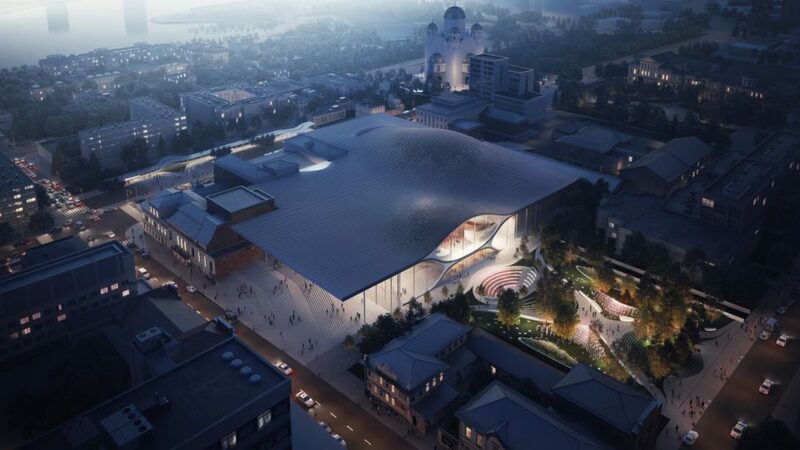 The spaces inside include a 1,600-seat Concert Hall and a 400-seat Chamber Music Hall hovering above the lobby space below the undulating roof. 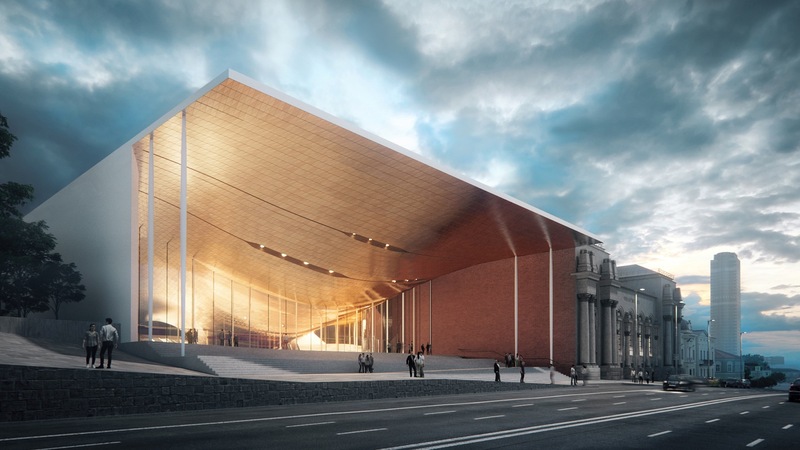 While striking, the new structure doesn’t detract from the historic buildings that surround it, aiming to merge seamlessly with the newly renovated gardens, which include an outdoor amphitheater for summer performances. A rooftop terrace overlooks the city’s Church of All Saints.